EastEnders Where are they now? 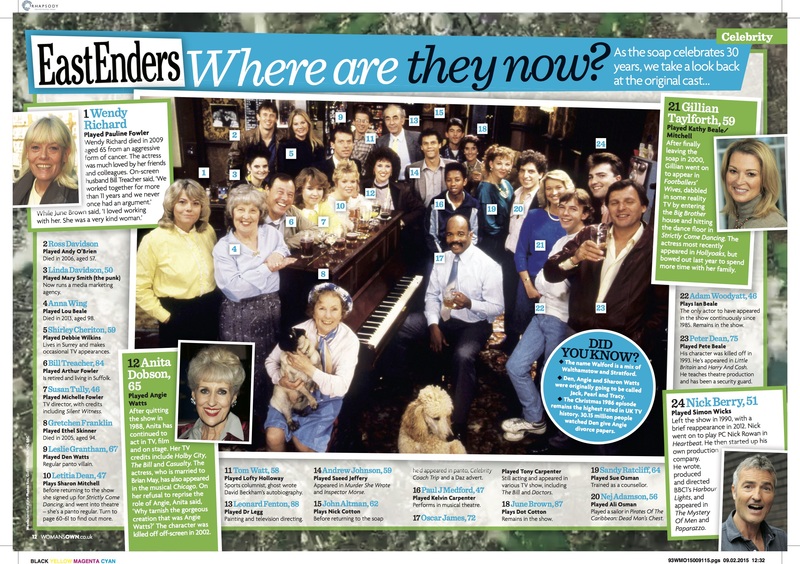 Posted in: Woman's Own | Tagged: 30th anniversary, Eastenders, EastEnders cast, soaps, where are they now? You’ve got to love them Chinese ribs!